Handweaving has been a part of my life since the early 70’s. It combines my love of crafts with my background in Art History. 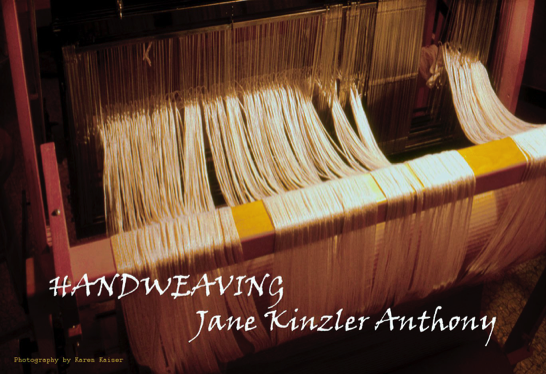 During workshops at the Mannings in East Berlin, Pennsylvania and the Brooklyn Museum Art School, I became totally absorbed and tantalized by the possibilities that weaving offers. It combines texture, pattern, and color in ways that are not possible in other media. I still enjoy the challenge of weaving traditional as well as modern patterns, often combining them in an individual piece. In recent years I have become fascinated with the mathematical fibonacci series which is found frequently in the natural world. I have used this series (1, 1, 2, 3, 5, 8, 13, 21, 34...) in a number of wall hangings only to find they take on a life of their own. Most often I use natural fibers, frequently adding a bit of metallic, wood or shells for accent. In addition to the wallhangings on display, I make a variety of other items including pillows, placemats, table runners, vests and scarves. My work has been exhibited at various craft shows and shops including an Annual Holiday Show in my Reston Studio and special exhibits including one person and group showings of my wallhangings as well as Northern Virginia Crafters Guild shows. Wallhangings can provide large-scale, textural, convoluted graphic surfaces to soften hard-edge architectural interiors without overpowering the visual environment. They can also create depth and movement in otherwise static spaces. I enjoy integrating my weavings into the everyday personal living and working environments of those who commission my work.